Catherine M. Pittman, Ph.D., HSPP, is the chair and associate professor of Psychology at Saint Mary’s College, Notre Dame, IN. Dr. Pittman is the author of the popular book Rewire Your Anxious Brain: How to Use the Neuroscience of Fear to End Anxiety, Panic, and Worry. She has a background in cognitive behavioral therapy, neuropsychology, fear-conditioning research, and treated anxiety-based disorders in clinical practice for over 25 years. 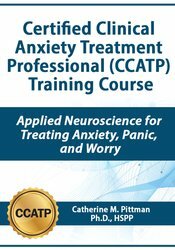 Catherine’s experience makes her uniquely qualified to provide a clear understanding of neuroscience and how that informs the selection and application of successful anxiety treatment strategies. 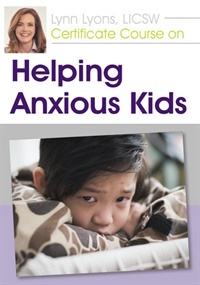 She regularly presents workshops at national conferences and national webinars on anxiety treatment, and is an active member of the Public Education Committee of the Anxiety and Depression Association of America. Financial: Catherine Pittman is an associate professor at Saint Mary’s College. She is an author for New Harbinger and receives royalties. Dr. Pittman receives a speaking honorarium from PESI, Inc. Non-financial: Catherine Pittman is a member of the Anxiety and Depression Association of America.